The Palawan Santan is a wild flower endemic to Palawan. 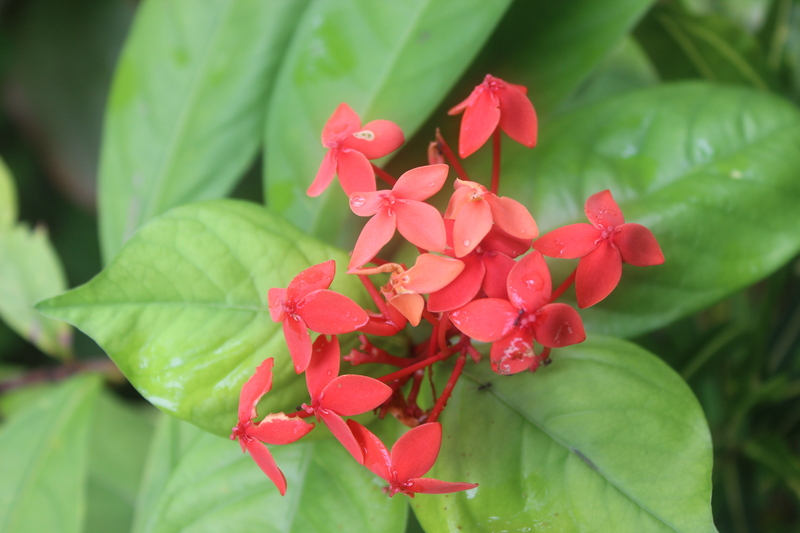 Unlike its close relatives, the Chinese Santan (Ixora coccinea) or the Indonesian Santan (Ixora javanica), which are bright red and commonly used as ornamental shrubs, the Palawan Santan has a distinct lighter peach tint. Furthermore, those two varieties were introduced to the country. The Palawan Santan and the Philippine Santan (Ixora philippinensis) are actually the only two native santan species in the country. 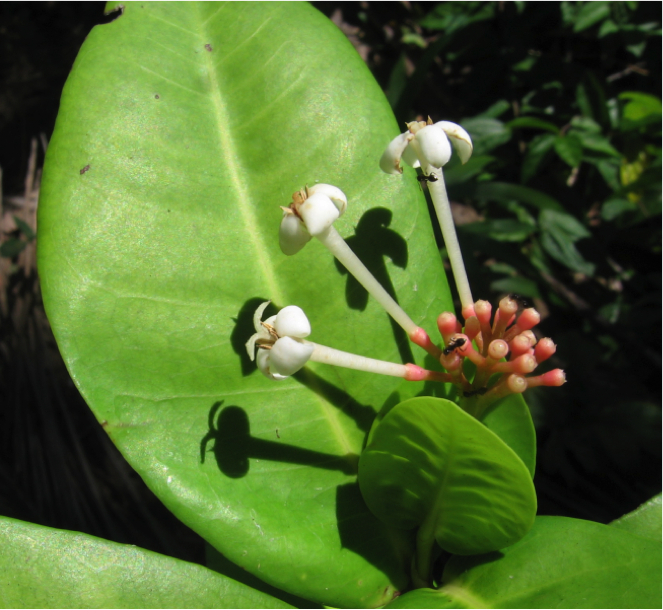 The Philippine Santan is also found in El Nido and has smaller white petals compared to other varieties. The santan is a short bushy plant around 1.5 to 3 meters tall that is very popular with landscapers across the Philippines. Also known as Flame in the Woods or Jungle Flame because of their bold colors, the santan species originated in Southern India and Sri Lanka, but is found throughout tropical and subtropical regions across the world. Several parts of the plant are used for traditional herbal medicinal purposes. In the Philippines, the santan roots are boiled and used to treat nausea, increase appetite, and cure hiccups. A poultice of its leaves is used for sprains, contusions, boils, and eczema. Scientific studies have indeed shown that the plant contains antioxidant, anti-inflammatory, and anti-ulcer chemicals.